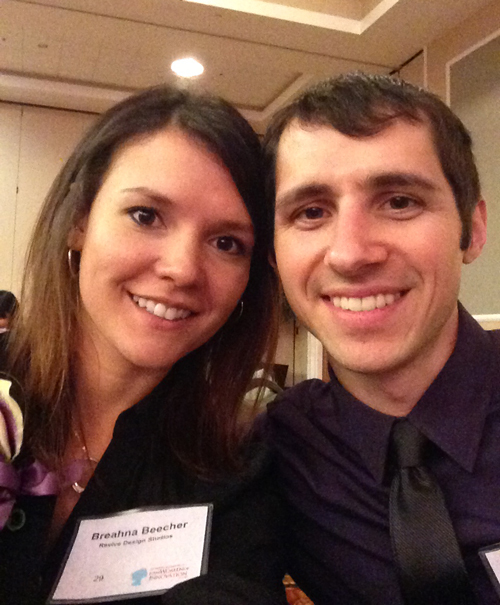 I was a finalist in the 2013 Women of Innovation awards that took place yesterday. 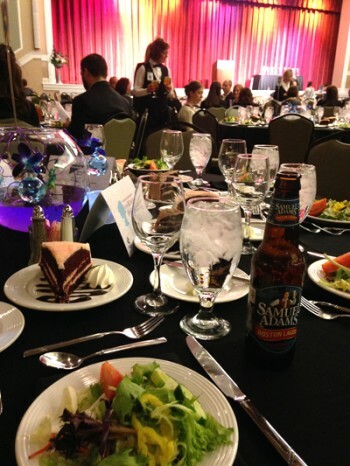 The reception dinner was really beautiful. I was tempted with cake from the very start! It was a very well put together event with great speakers. Dr. Terry Wahls, M.D. was the keynote speaker. Her story was unlike any I’ve ever heard so I can definitely see why they chose her! To summarize, she was in a wheelchair and faced with being bed-ridden and reversed her own Multiple Sclerosis through means of a paleo diet and neuromuscular stimulation. She’s also written a book entitled The Wahls Protocol documenting her struggles and discovery, which you can order through Prairie Lights in Iowa City. Emma Peterson, from Tikly was the winner in our category. Congrats, Emma! 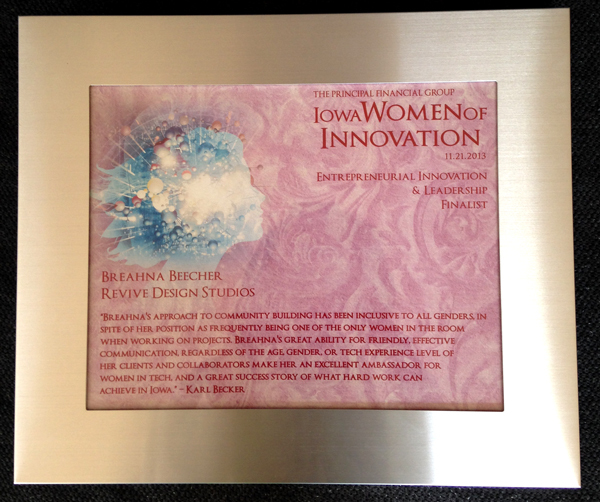 All finalists received a framed portion of the nomination sent to the Technology Association of Iowa. 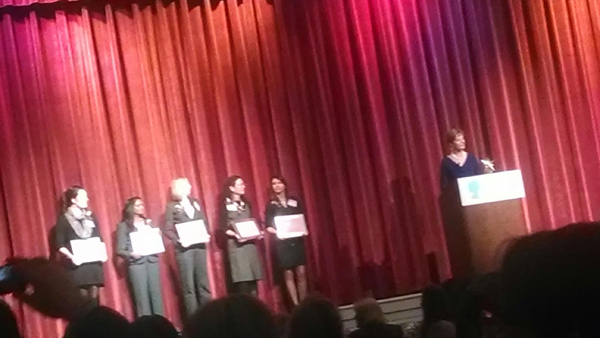 I was very honored to be on stage with so many accomplished women! I owe a huge thank you to my husband, Bryan. He got off of work early to drive me 1 1/2 hours to the event through the snow and freezing rain. He’s my biggest supporter. Thank you! Also, a big thank you to Principal Financial Group and the Technology Association of Iowa for giving me the opportunity to be apart of such a great event! Receive specific website tasks to do once per month to make your website more successful. Get Free Website Advice Receive specific website tasks to do once per month.